She met Rahul in CAT coaching class, he was this handsome gentleman who always helped everyone. Within month both were in-separable. When Rahul proposed to Prerna she was on the Seventh Cloud of the Seventh Sky. During that time she didn't use to walk rather she used to fly. Now whenever Prerna remains awake she just cries, cries and cry some more. She left everything in her love, Family, Future everything for the one person in the whole world whom she trusted every much and loved with all her heart. That Gentleman who had hidden a monster within him. Signs of that lurking monster were visible four months ago as well but she was blind in love. She ignored those signs thinking that its just stress and she will cure all the stress with her love, and then last month suddenly he asked her to meet him. He wanted to give her some surprise, with a beating heart Prerna went to their favorite place on the top of the small mountain where they used to meet as asked by him. Her heart was racing due to anticipation of the meeting with her love. When after half an hour he came, but he wasn't alone with him were 4 people who weren't at all looking civilized. Rahul motioned with his head and all 4 men jumped towards her, she tried to run but couldn't and she felt a handkerchief over her mouth and she lost her consciousness. When after indefinite time she woke up, she had no sense of days or time elapsed. She frantically looked around her but all she could see was darkness. sometime later in the day someone pushed a plate with something to eat in her room, since she had no choice after crying for some more time she ate whatever she was provided with. Days passed on then after many days finally the door was opened .. she tried to run through the door but two men blocked her path. Then a woman came into the room and said to her, "I know you must be afraid and would like to go back to your home. But remember this is your home now, the boy who brought you here, he sold you for 100,000 Rs. now you will have to work here to pay off that amount". Listening to her sent shivers down her spine. She started crying loudly, but the lady did not shout on her but rather went to her and consoled her and said "Look, I know that you must be devastated and might not know, what to do. But, Beta can you do, these Wolf in sheep's clothing are impossible to find and identify, because they remain hidden among common people, until they decide to strike." Prerna was still crying... Lady... Jaddan Bai was her name said "Beta you will need some more time, take whatever time you need, I don't need your services for some more time." Prerna kept on crying everyday for next two months.. but she was starting to realize that she will have to spend rest of her life here in Mumbai far far away from her home City Delhi. Prerna accepted her fate and was servicing her customers with a smile on her face but, but her sorrows were hidden deep inside her heart. P.S. - I came to know later that Prerna was rescued from the brothel when an NGO raided it with police, and she completed her education and is now working with the same NGO saving more girls from the horrific fate. Then again as you know its only Fictional. All characters are fictional any resemblance to any person living or dead is purely co-incidental. I just want to say that no girl should go through such horrific experience. Sad but true! World has an abundance of such wretched minds who either kill their conscience or stop paying heed to it! woah... u got so excited you posted twice!!! 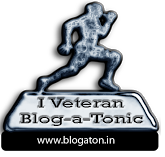 @Siddhesh if you are talking about two posts for BATOM then the answer is I posted 5 different stories for BATOM 11. But thanks for nice comments.